Day 3 is here and Rosabelle is tired! Tired of sleeping on benches and couches in bars and from being tired all the time from sleeping on them. She needs to make enough money today to buy a bed so she can get a good night’s rest… so she can make more money! The first two days of Rosabella’s challenge have gone fairly smoothly, she hasn’t been uncomfortable from hunger or other needs being low yet, but Day 3 dawns brutally early. She has gotten very little sleep between park benches, the couches at the bar and the museum and she is feeling it. Rosabelle returns home early, today is her day off. 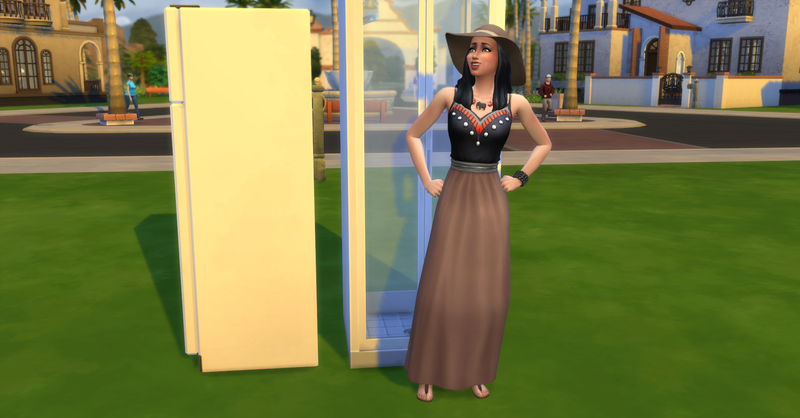 She makes a few purchases for her “home” and she’s excited to check out her new fridge! 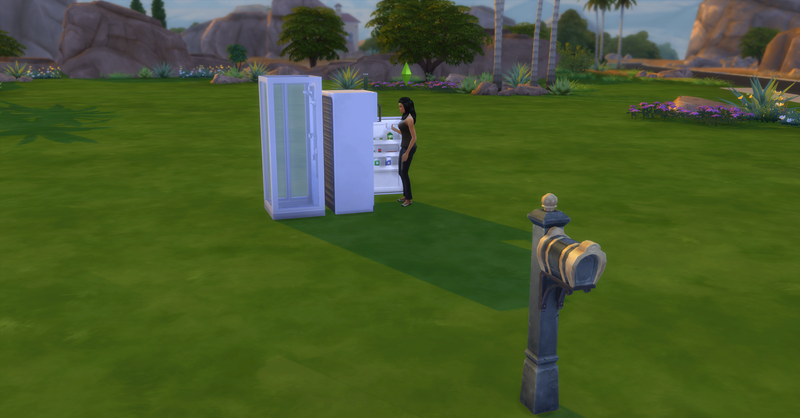 She chose to buy the cheapest fridge so she could eat at home instead of mooching free chips from the bar and paying to cook meals at the park, the fridge allowed her to eat quick meals for free. She also bought the cheapest shower available so she could shower at home instead of at the nasty gym showers. Her first shower at her home! Open air shower are the new fashion! 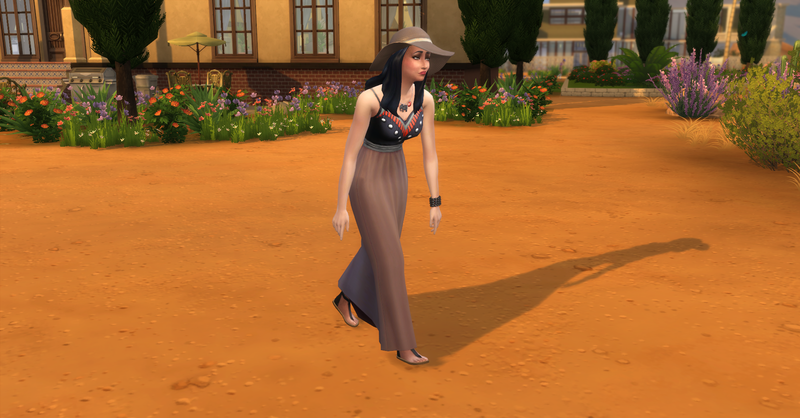 She chooses a new outfit for the day, it’s perfect since she will be traveling back to the park to collect for the day and that hat will keep the sun’s rays off her face. Rosabella seems to be happy with her new shower and outfit this morning. 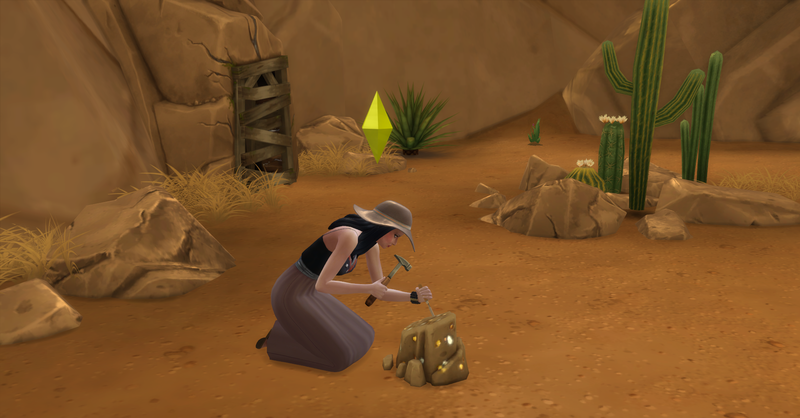 When Rosabelle reaches Desert Bloom Park & Pool none of the dig sites have respawned for her to collect, but she did miss one across the road yesterday when she was there and she goes and retrieves it. 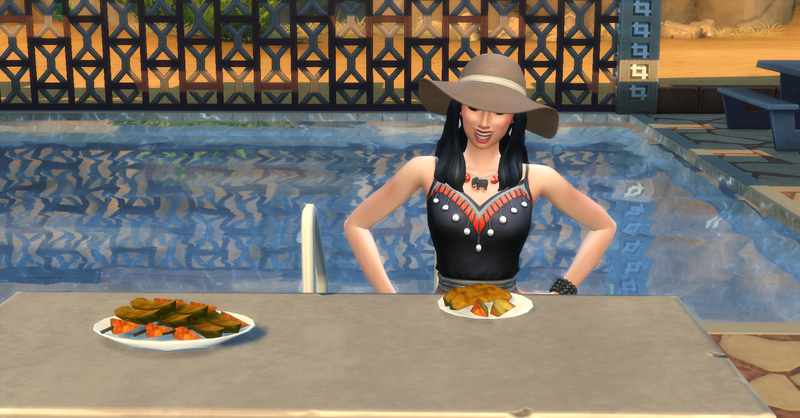 She is starting to feel hungry and some townie left some grilled fruit on a table. Rosabelle is very happy that she can get a cooked meal without having to pay for it! Maybe eating random leftover food that someone else left laying on a public picnic table wasn’t a good idea. 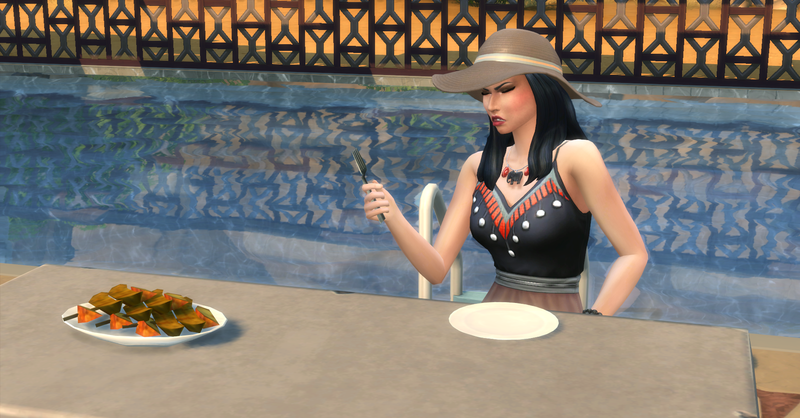 She gets a bad aftertaste moodlet from eating poorly-made food which leaves her uncomfortable for a short while. After eating, Rosabelle goes to the well to look for frogs. She finds an uncommon Leopard frog worth §100! After that there is still nothing to collect or harvest and none of the dig sites have respawned at this point. Rosabella tries her hand at fishing for a while to see if she can catch anything and hopes that the dig sites will respawn soon. She goes home to her own neighborhood in hopes that there will be something to collect there. 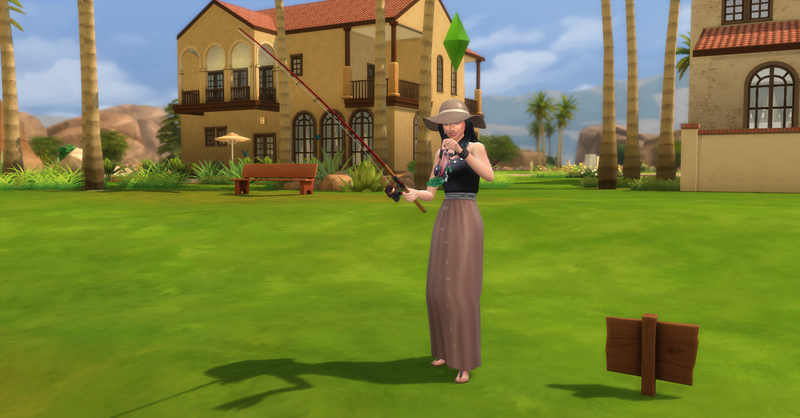 Back in her own neighborhood Rosabelle decides to go fishing because nothing has respawned here either! But its now it’s 3:30 in the afternoon and she is getting tired already from so little sleep, the past two day are really catching up to her. 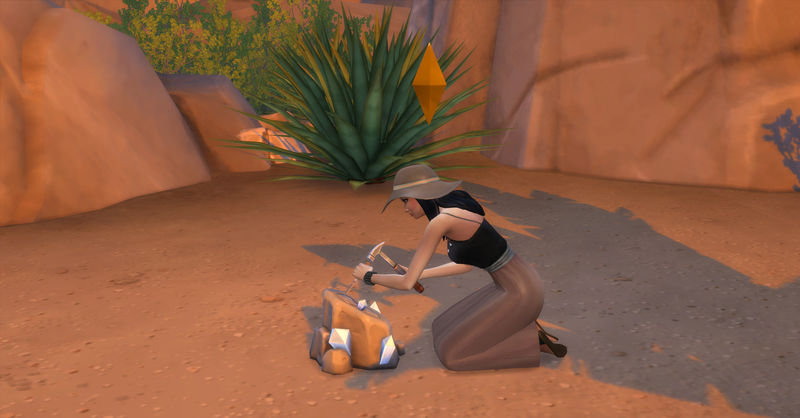 She doesn’t have enough money for a bed yet, but she is so close… Rosabelle goes to the most affluent neighborhood in Oasis Springs, Acquisition Butte, in hopes of finding rarer and more valuable collectibles to sell in order to buy a bed. She finds a heavy metal worth §30 and another entrance to the mine, but it is boarded up and inaccessible just like the other one. Rosabelle finds two frogs there as well, a Spotted Dirt frog worth §30 and another Leopard frog worth §100! Her funds are now §350! 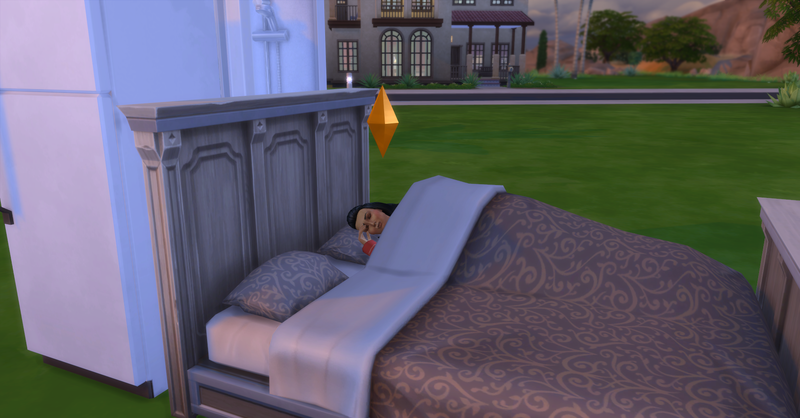 After collecting everything available in Acquisition Butte, Rosabelle can now probably afford a bed. Trying to sleep on various benches and couches in public venues it wearing her thin and she knows she needs a good rest to start work in the morning! Rosabelle returns home to buy a bed and prepare for work, however everything has spawned while she was away in the Butte. She should really collect those before buying a bed even though she is tired because maybe she can get a nicer one! She runs around trying to collect everything before she gets too tired to collect anymore. But pretty soon she is very tired, she only has 4 more things to collect before she can go home! Rosabella really hopes that this last collectible is worth it. Nope, it’s a §15 Sapphire crystal. She is almost exhausted so she goes home and buys The Barnish Bed for §620 and goes right to sleep. Check back soon for Day 4 of our Challenge – Rosabelle’s First Day at Work!